I will get back to more personal blog entries again soon. I promise! But having these little Friday deadlines does somehow force me to get on the computer and post something. I’m still trying to create this social media habit for myself. The fresh food markets are starting to wind down a bit after the cold fall weather slowed the fresh fruit bounty. But we’re still seeing some great crops in our town farmer’s markets. Germany has some amazing berries, including the biggest, reddest currants I’ve ever seen. They have giant figs the size of tangerines and strawberries that are better tasting and less seedy than the local berries I grew up on (sorry Bainbridge, but it’s true!). But did I get photos of any of those before the summer ended? No, unfortunately not. The plums here have been a favorite in our family. They have lovely damson plums and plums of all colors and sizes that remind Joe of the fruit trees on his childhood in Napa. 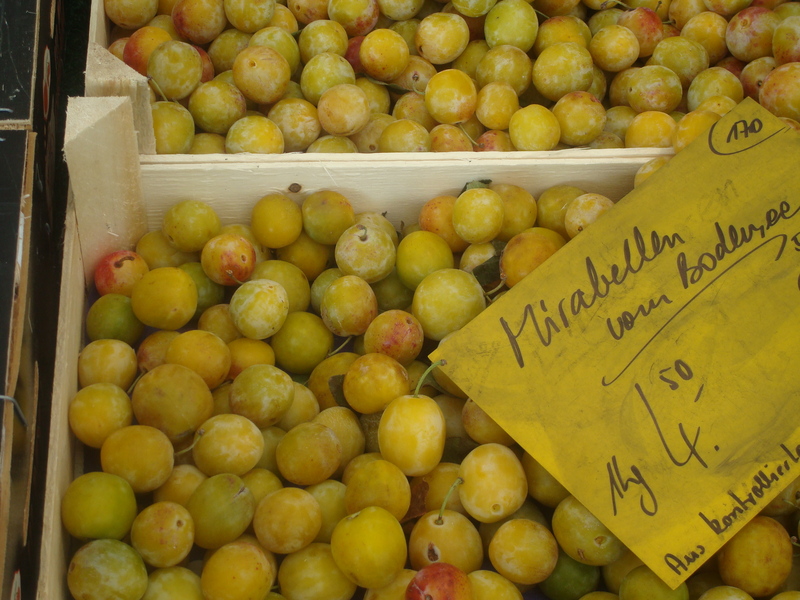 Sam loves the small, yellow ones called Mirabellas because they’re bite-sized and super sweet. 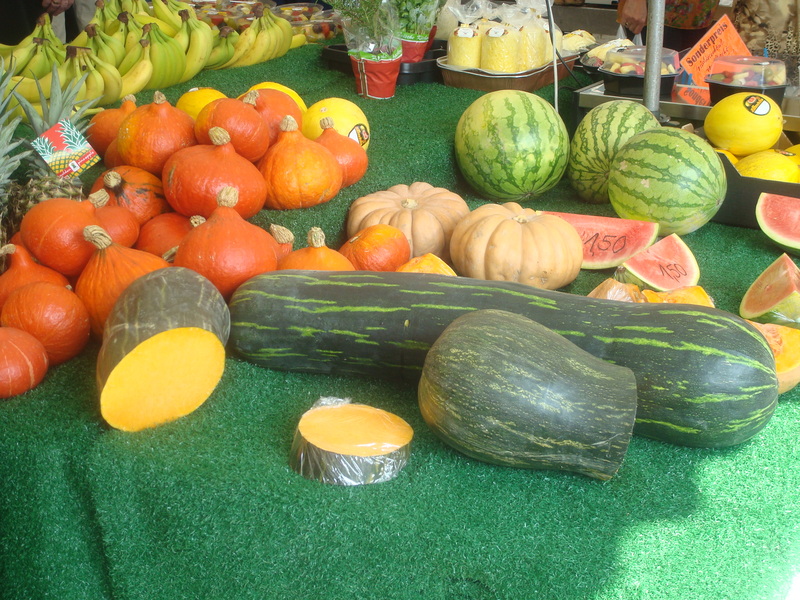 And just like the giant pumpkins that sit outside American grocery stores in October, some of the farmers’ stalls are trying to outdo each other with the size of their giant squash! While we’re mourning the end to the summer produce, we’re looking forward to the beauty of autumn in Bavaria. Hearty German stews and roasts are better suited to cold weather, anyhow. 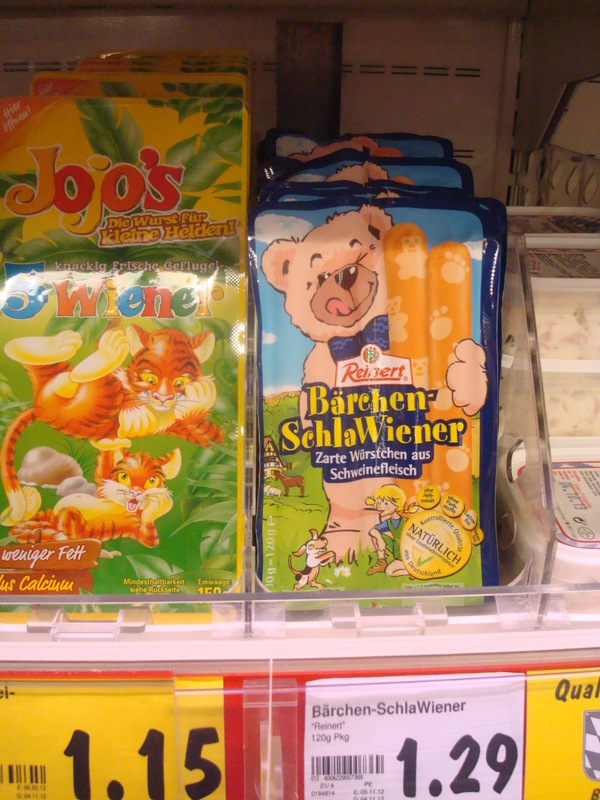 The cliché is true: there are a LOT of sausages in Germany. 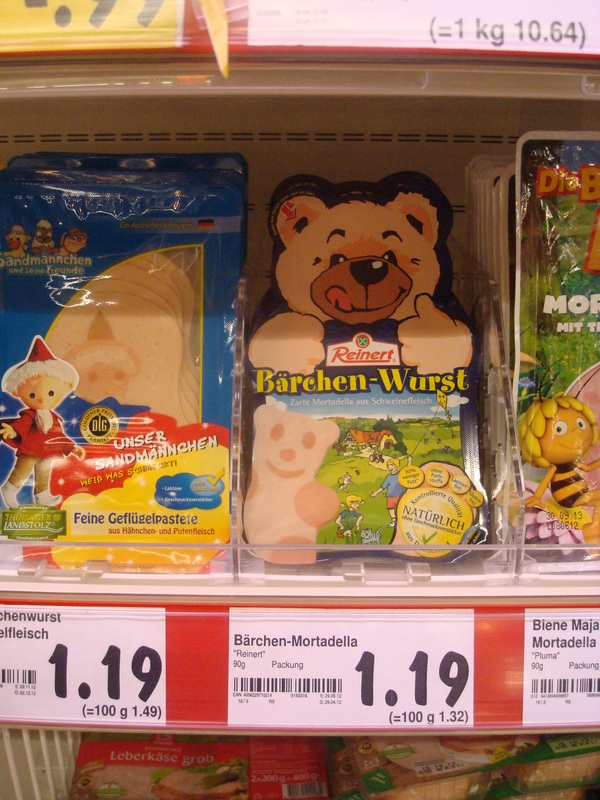 And there is a niche market for making deli meats in animal shapes to appeal to kids. Mortadella with a bear print. A bit like Pillsbury cookies for holidays that have a design when sliced; presumably made with light and dark meat. Hmm…not very appetizing to my taste but to each his own! 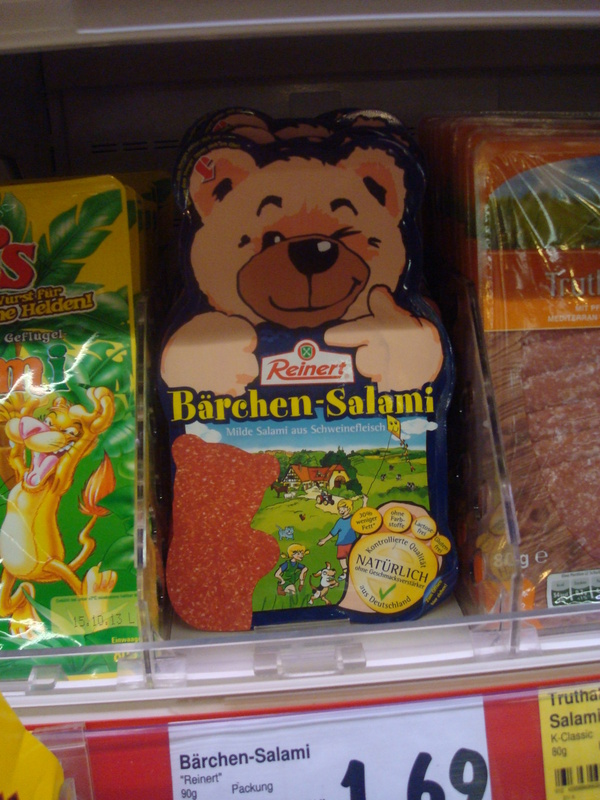 For those who don’t like bears, there’s also bee-print mortadella or a Santa’s elf design. 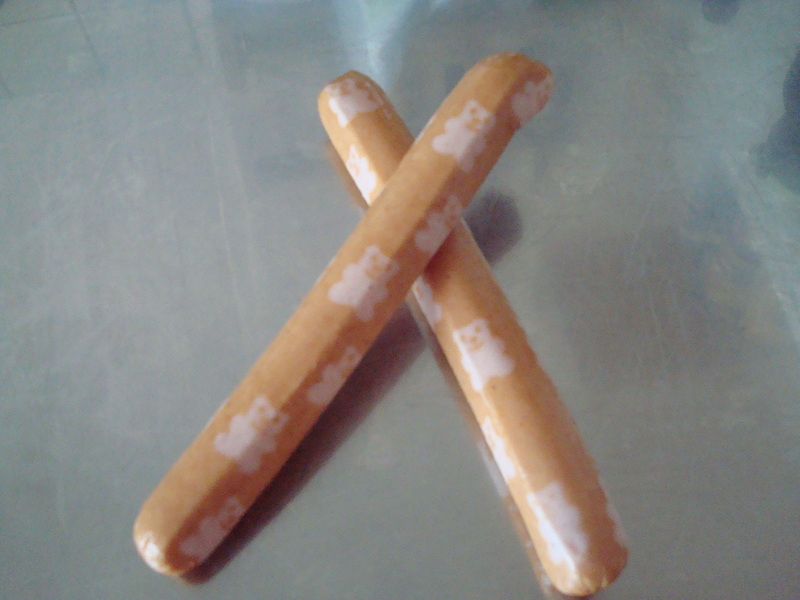 There’s even bear-print hotdogs. Now those, we had to try. Can’t say the kids even noticed! Grocery shopping in a different country is always an adventure! 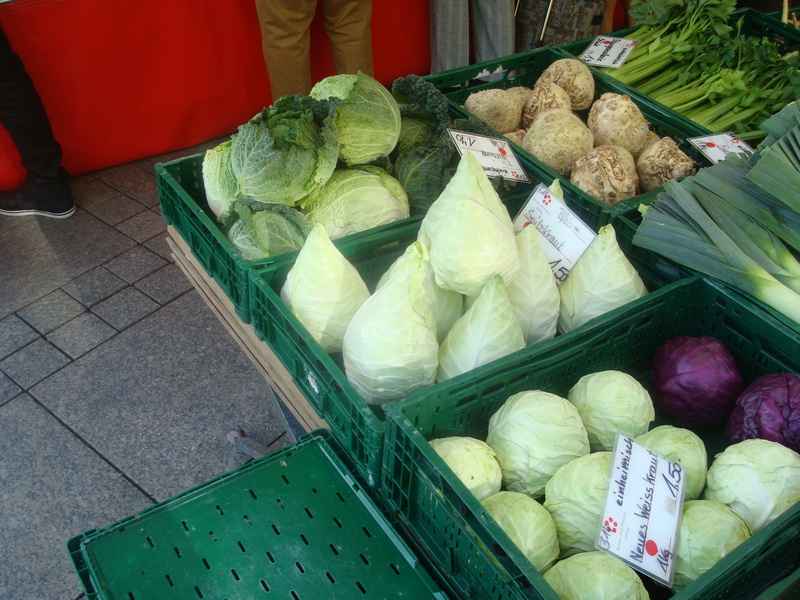 I have an idea to share some of the fun, interesting, and different food items we encounter here in Bavaria. I’m not great about bringing my camera with me while grocery shopping, but if I can manage to remember I think it’ll be fun to share the oddities on this blog. 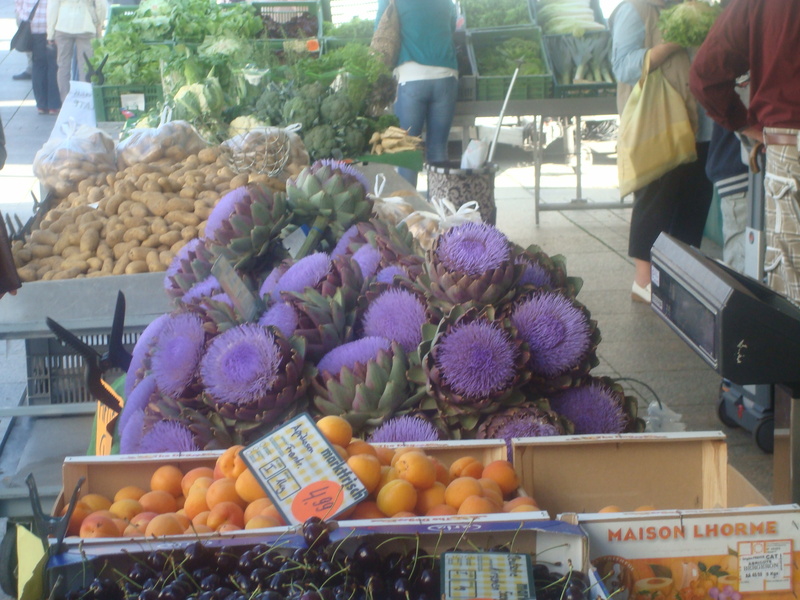 Artichokes in bloom — beautiful! Stay tuned — I’ll try to make this a semi-regular feature.